We’ve featured several LEGO versions of Relativity over the years, including a traditional staircase scene with great lighting and even a Star Wars version of M.C. Escher’s famous lithograph. But we’ve never seen a version quite like Lårs Kumpfert‘s monochromatic one. 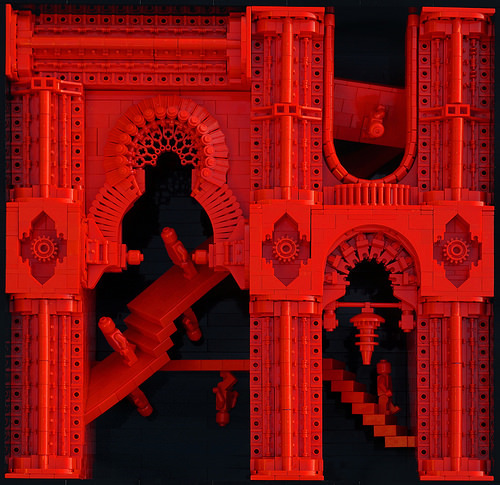 By using only red pieces and intricate Gothic designs, Lårs created a creepy, gravity-defying LEGO scene that would be right at place in a Guillermo del Toro movie.